When you hire a company like MetroClean you don’t just get the know-how and skill that we’ve built up through many years in the industry. You also get the equipment that we’ve invested thousands of pounds in, to make sure nobody in the industry can offer a superior clean. 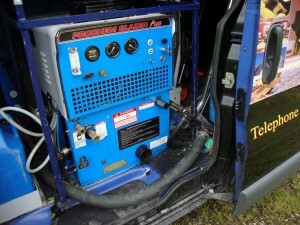 The most expensive, but essential part of any carpet cleaner’s arsenal should be the Hot Water Extraction (HWE) machine. This is a van mounted system that sits outside the building and runs off a powerful engine. Using this type of system rather than a portable machine brought into the home, means we don’t have to leave any waste in your home or business and it provides us with a lot more power than some of the DIY carpet cleaning kit on the market. 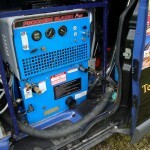 Truck-mounted Hot Water Extraction (HWE) machines create much more suction, pressure and heat than the hand-held devices you can plug straight into the mains. With some types of carpets it might be better to use techniques such as Very Low Moisture (VLM) cleaning, but in most cases if the cleaning company doesn’t have a truck-mounted system like this they are best to be avoided. Other machines simply don’t have the power required to remove enough water from your carpets during the cleaning process which can lead to long drying times and permanent damage to your carpets. If your carpets don’t dry quick enough after the cleaning process you can be left with an unpleasant odour caused by bacterial growth, which can only be removed with a deep clean. In some cases, lack of power in the suction system can also lead to carpet shrinkage. This is why carpet manufacturers recommend that you carpets are cleaned at least once a year with the HWE method. If you want to protect the investment you’ve made in your carpets and keep them thoroughly clean for years to come, get in touch with MetroClean today!